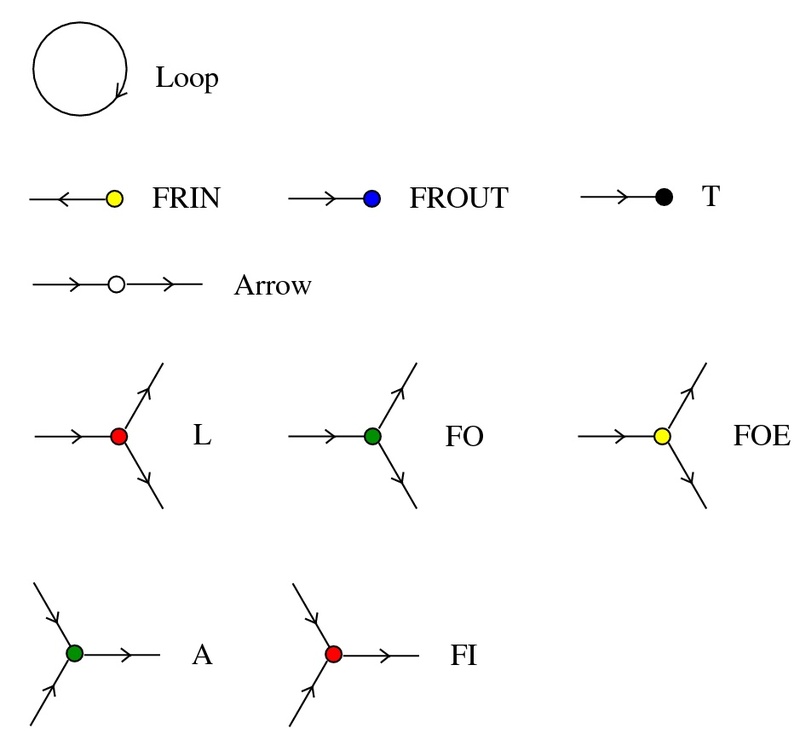 See this visual tutorial to understand how the nodes and the edges orientations are represented in the simulations, for example this one involving kinesin like graphs. 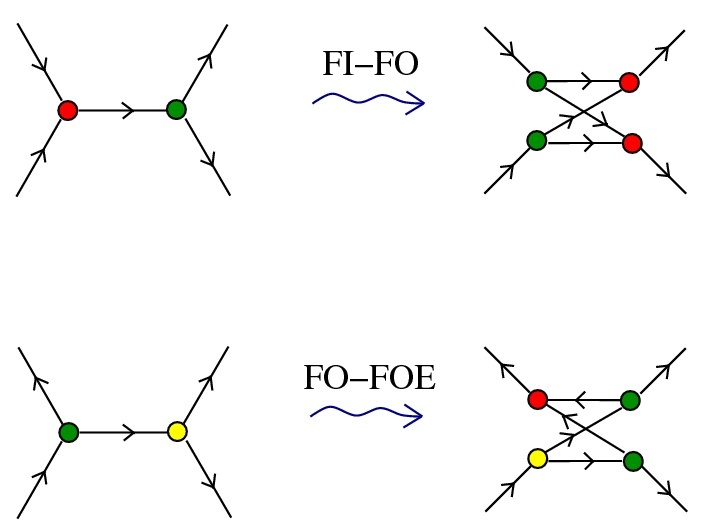 Another conflict is between the FO-FOE rewrite and any *-FO rewrite from the DIST family. 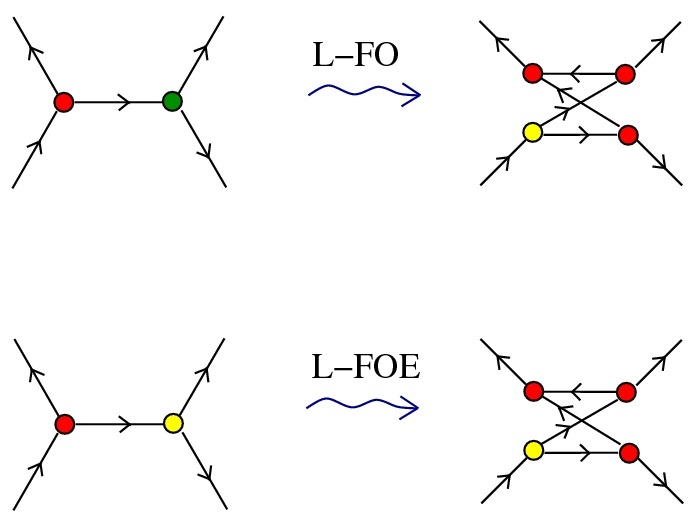 This conflict has two effects: it produces a supplimentary FO node, which may trigger more DIST rewrites, and it produces a supplimentary FI node which may not meet later a FOE node. 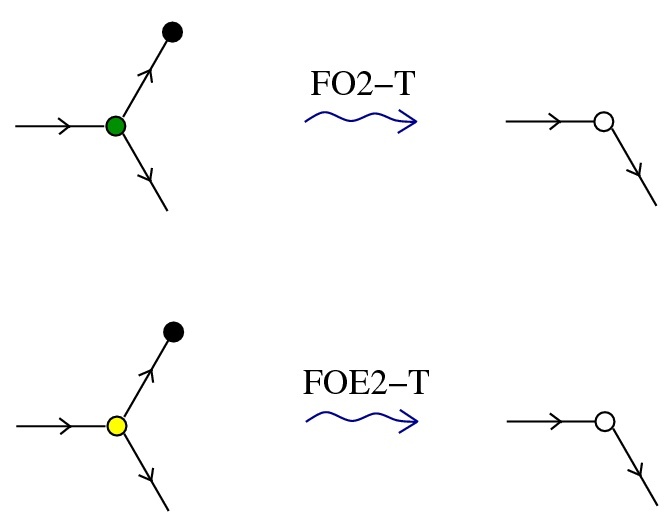 Here are the two possible evolutions of a particular molecule where this happens. 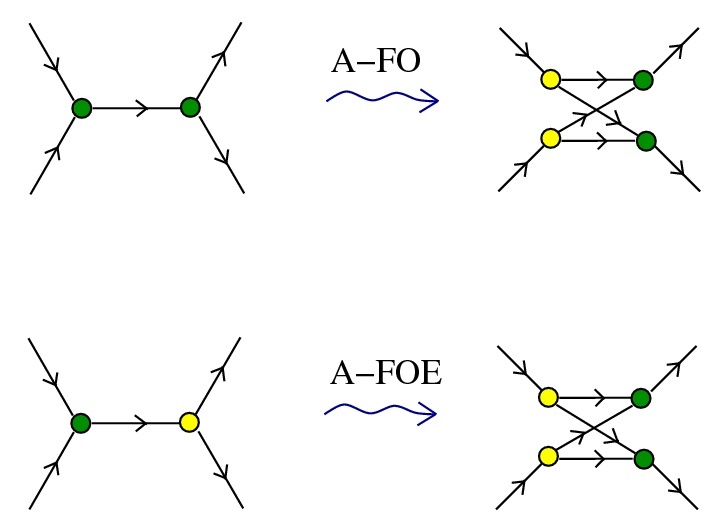 The conflict is between a L-FO rewrite and a FO-FOE rewrite. 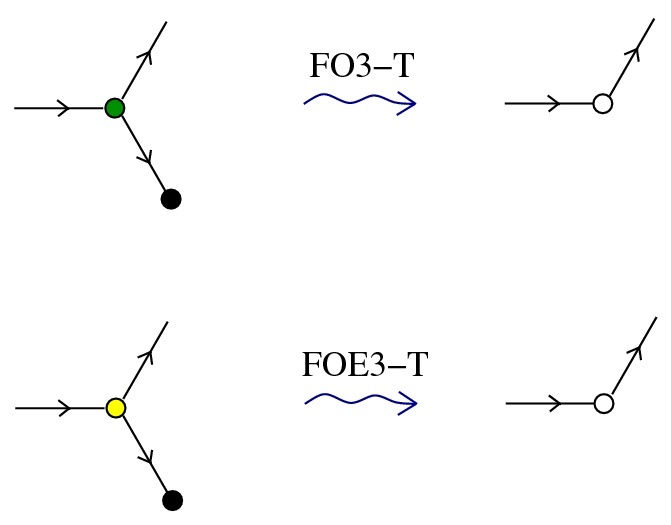 If we pick the L-FO rewrite first then we end with 3 copies of a small molecule (which represents the identity in lambda calculus). 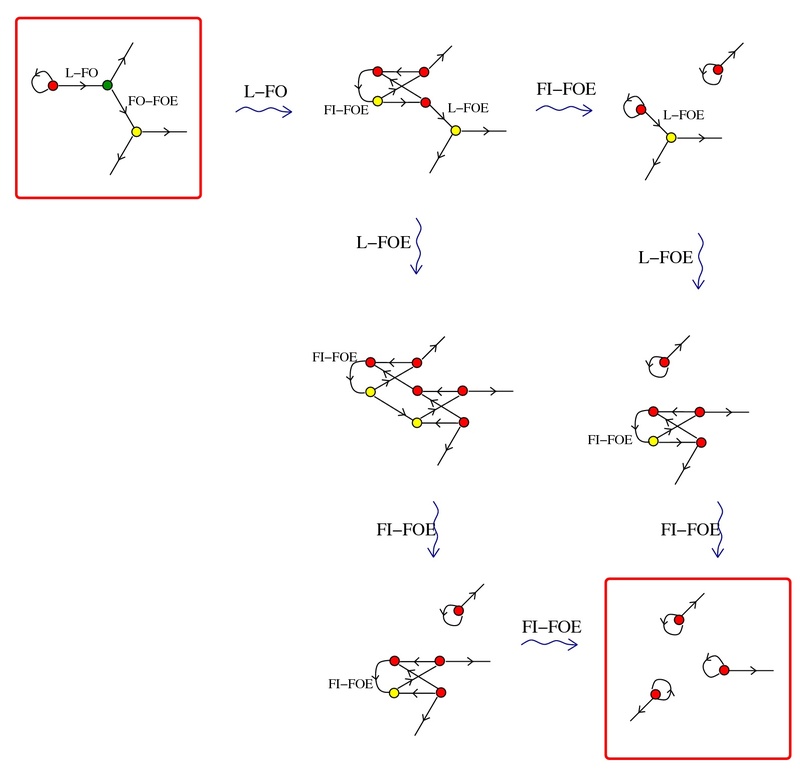 If we pick the FO-FOE rewrite first then we end with 4 copies of that small molecule, two of them connected to a FI node. 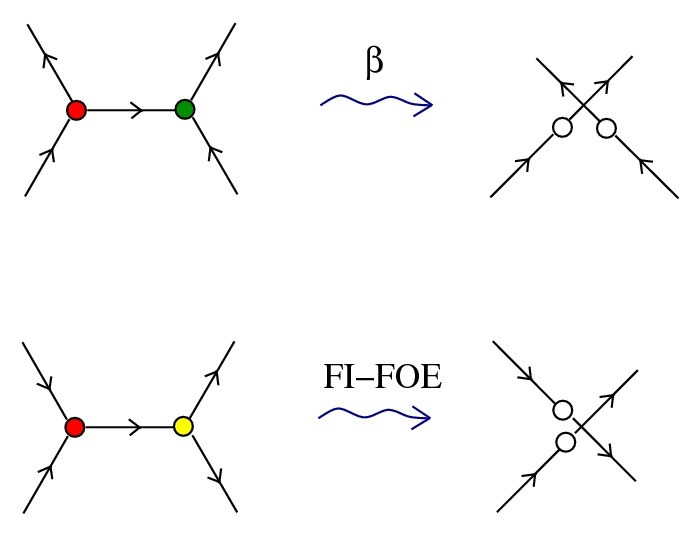 Ther are more possible paths to the end result than those shown, depending on the order of application of FI-FOE and L-FO rewrites, but all end into the same place. 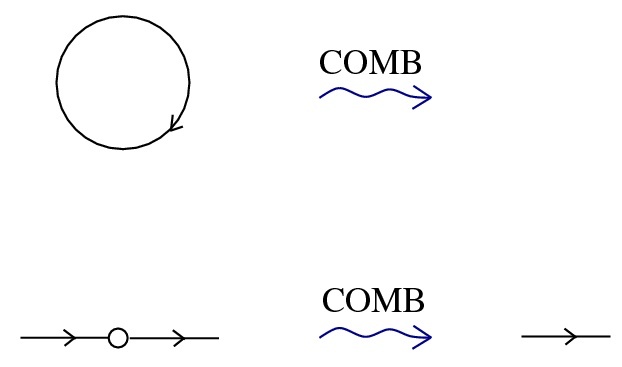 There are several techniques to compensate for this phenomenon, from careful redesigning the molecule (an example. 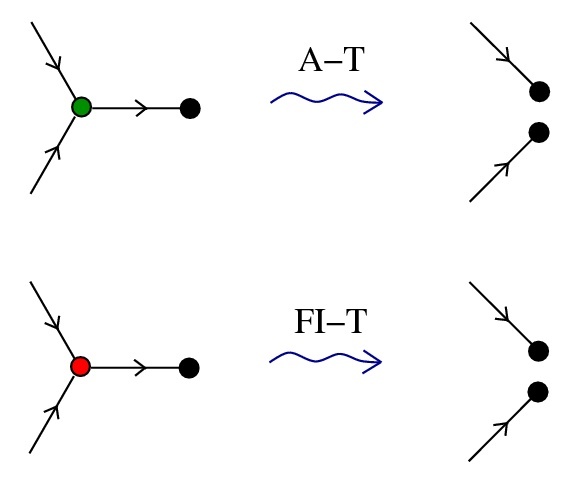 Or another example). 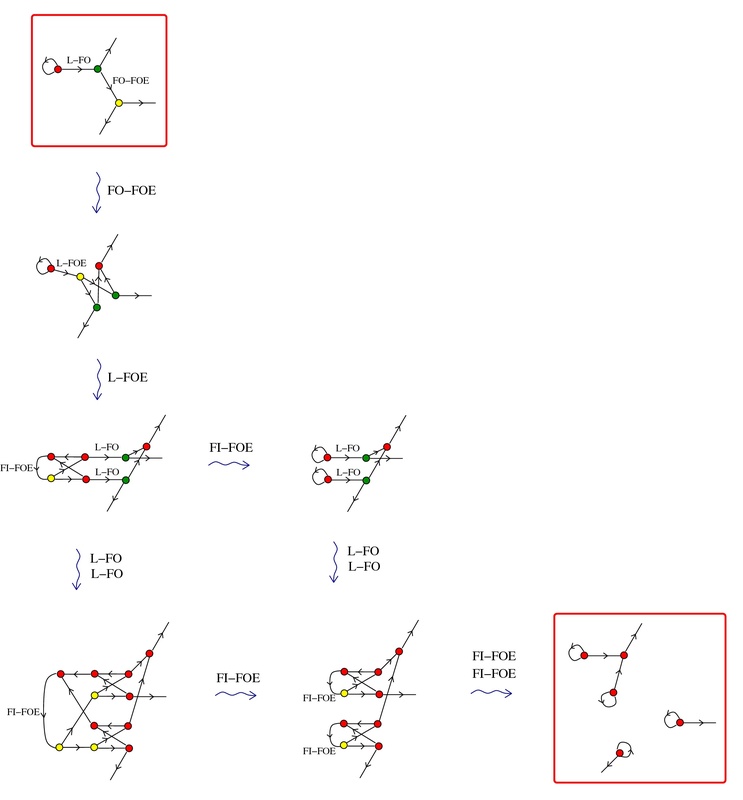 The last one can be further modified to this simulation of a molecule inspired from the factorial of 5. My favorite technique, which has the right chemical blend, is: amplify, let the reaction end, sample for result. 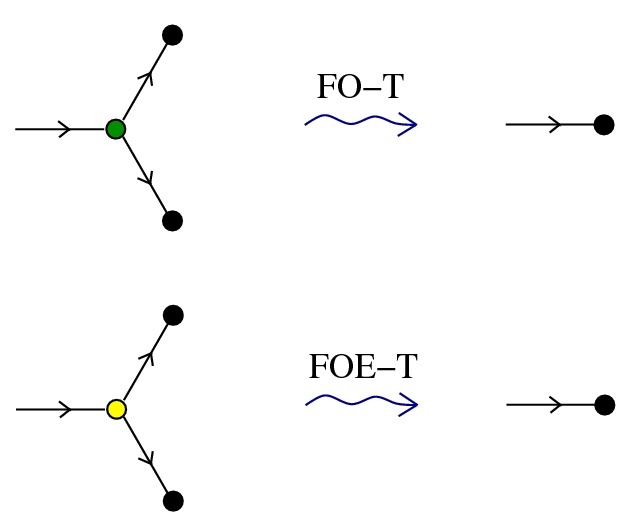 We can always anihilate the unwanted FI nodes by replacing FROUT nodes with a sufficiently long chain of FOE nodes, and FRIN nodes, if they are present, with the same number of FI nodes.